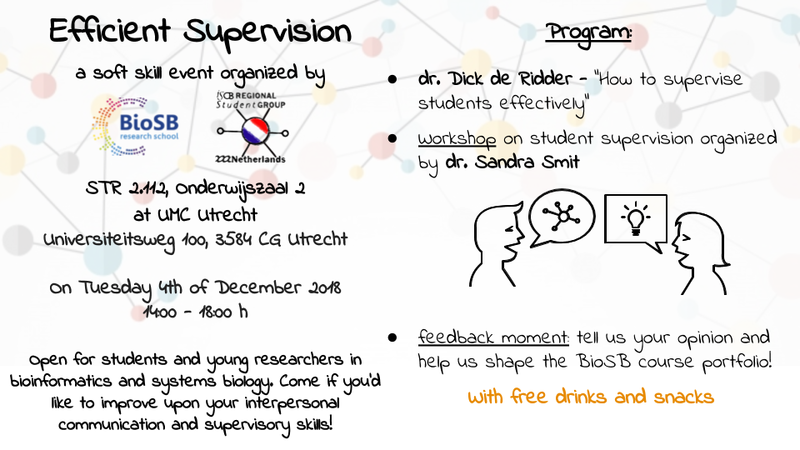 On Tuesday December 4th our Regional Student Group and the BioSB Education committee are organizing a soft skill event on Efficient Supervision. The event is open for students and young researchers in bioinformatics and systems biology. Join if you would like to improve your interpersonal communication and supervisory skills!